Hong Kong plays a key role as a transit hub and major retail ivory market. 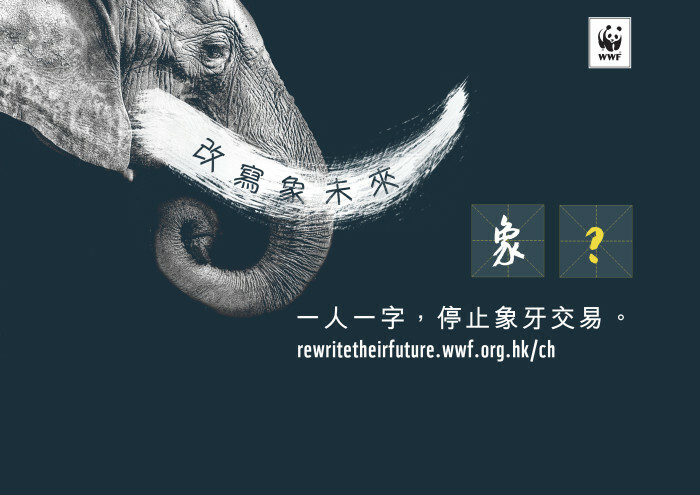 To put an end to the needless slaughter of African elephants in the procurement of ivory, WWF-Hong Kong has rolled out the “Rewrite Their Future” campaign, inviting citizens to consider the harm done to elephants when extracting their tusks by creating a new name for ivory. 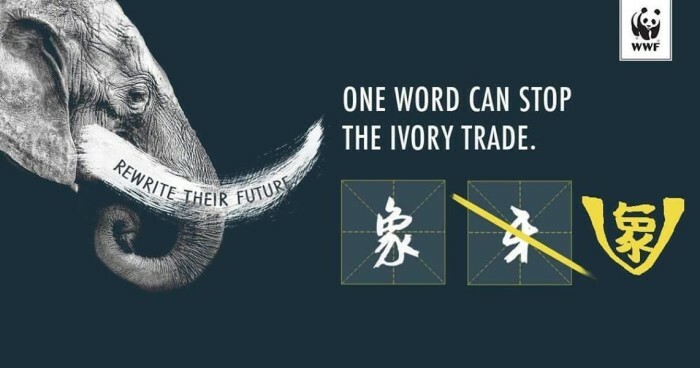 Created in conjunction with Geometry Global and Ogilvy Hong Kong, the campaign calls on Hongkongers to literally “rewrite the future” of elephants by encouraging them to create a new Chinese character for ivory, which accurately portrays the nature of ivory extraction. “We discovered that the Chinese character for ivory literally translates to ‘Elephant Teeth’, leading to a common misconception that they just fall out harmlessly. So we realised we had to change more than just the law, we had to change the language,” said Reed Collins, CCO of the Ogilvy Group. 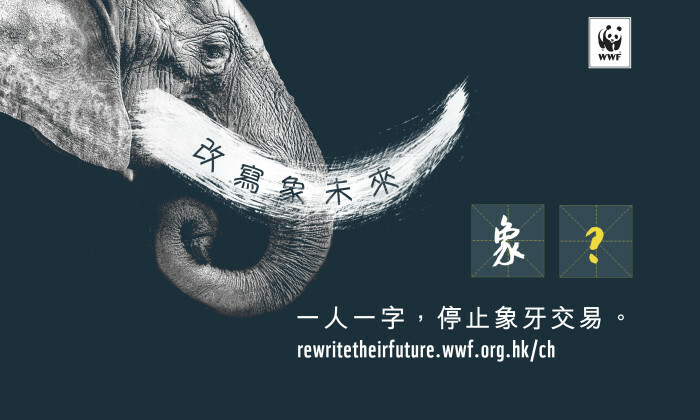 When creating their characters via the campaign website, participants are also submitting a petition to the Hong Kong government to take concrete action to prohibit the city’s ivory trade. To garner support, the campaign will extend into schools, shopping malls and social media. The petition to ban ivory sales in Hong Kong will be presented to the government in early 2016. Numbering three to five million in the last century, African elephant populations were severely reduced to less than 470,000 today primarily because of hunting and loss of habitat. In recent years, growing demand for ivory, particularly from Asian markets, such as Hong Kong, Bangkok and Beijing, has led to a surge in poaching. “The ivory trade is the primary driver for the killing of over 30,000 elephants a year; if actions are not taken soon, this majestic species can be extinct within our lifetime,” said Cheryl Lo, senior wildlife crime officer, WWF-Hong Kong. WWF-Hong Kong has recently published a report entitled “The Hard Truth”, highlighting the seven fundamental weaknesses in the regulation of Hong Kong’s ivory market, which contributes to fuelling elephant poaching in Africa. Clicknetwork just hit 1 million subscribers on YouTube. Founder Gillian Tan shares how the company made its mark with advertisers ..